Kyle has more than 25 years of experience in the landscaping industry. Kyle has been the leader of GreenSweep since the company's modest beginnings when he and his older brother were mowing lawns in their neighborhood. His knowledge of the industry has continued to develop through his years at the helm of GreenSweep where he's been able to make something bigger out of his childhood passion for landscaping. Kyle's understanding of landscape maintenance and installation is only surpassed by his desire to exceed client expectations. Kyle holds a Bachelor of Science degree in Landscape Contracting with a concentration in Business from Pennsylvania State University. Kyle is a MD Licensed Tree Expert, Certified Fertilizer Applicator, and Certified Pesticide Applicator. 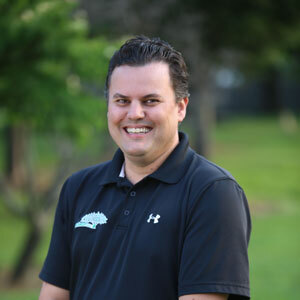 Kyle currently resides in Silver Spring, MD with his wife, Elizabeth, their children, Oliver and Ann, and the family dog and GreenSweep mascot, Chance. Lisa joined GreenSweep in 2012, and, in her role, she manages the day-to-day business functions to keep our company running smoothly. Lisa assists with strategic planning and large internal company advancement projects. She also handles client relations, vendor management, marketing, employee recognition, and other general administration. 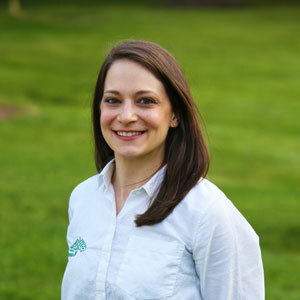 Before joining GreenSweep, Lisa held positions in client relations, program management, and communications. Lisa obtained her Bachelor of Science degree from the University of Maryland. She currently resides in Highland, MD with her family. Jedd rejoined the GreenSweep team in 2018 to lead efforts in landscape design and business development. Jedd helps navigate customers through the landscape design process – gathering ideas, reviewing budget, and finalizing a cohesive design – to meet each client’s goals for their outdoor space. Jedd also spends time developing relationships with new commercial customers working to expand our network in the DC/Baltimore region especially in other market sectors like local municipalities and government projects. Prior to GreenSweep, Jedd worked for several large government contractors in landscape design, master planning, and project management. Jedd is excited to return to his roots and help grow our business. Jedd studied Landscape Architecture at Cornell University and is a LEED Accredited Professional. Jedd resides in Baltimore, MD with his wife and two sons. Bob joined the GreenSweep team in 2016. As an Account Manager, he manages a portion of our commercial accounts, acting as the primary point of contact for property managers, providing quality control after we provide service, and overseeing field crews. 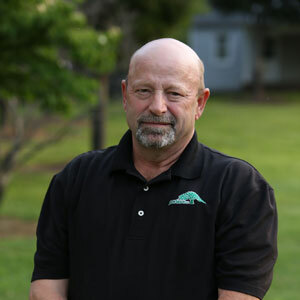 Prior to joining GreenSweep, Bob owned and operated his own small landscaping company for almost 15 years and held positions with other firms in the local region. When not assisting customers or crews, Bob enjoys spending time working with our mechanic on small repairs to the landscaping equipment. Bob is a veteran of the United States Air Force Reserve, Desert Shield, and Desert Storm. He currently lives in Silver Spring, MD with his family. George joined the GreenSweep team in 2017. In his role, he manages a subset of our commercial accounts and assists with supervising our field crews to ensure contract requirements are met and clients remain satisfied. 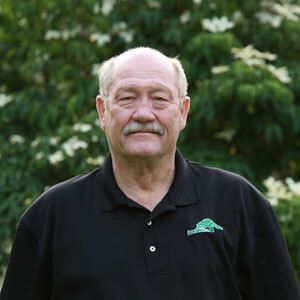 George brings over 30 years of experience in all facets of the landscaping industry, with a concentration in turf care and irrigation management. George obtained a Bachelor's degree in Education from the University of Maryland and enjoys using this background to share his knowledge with others. George is both a Certified Fertilizer Applicator and Certified Pesticide Applicator. George was born in Washington, DC and currently resides in Laurel, MD with his family. Karla joined GreenSweep in 2018 and is the friendly voice on the end of line when you call our office. In her position, she manages various administrative tasks helping our business to run more efficiently. Karla's main focuses are human resources, bookkeeping, billing, and production tracking, but her willingness to help wherever needed is a valued trait. Karla is bilingual, English and Spanish, which has been a huge asset in helping us communicate even more effectively with our employees. 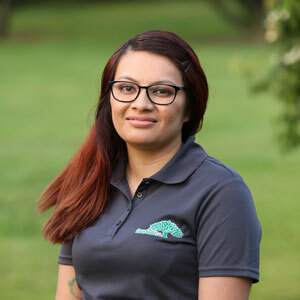 Karla spent the year prior to joining GreenSweep in a similar role, and we are eager to get her more engaged in the landscaping industry as she grows with GreenSweep. Karla currently resides in Bladensburg, MD with her family. Frank joined the GreenSweep team in 2012 as our Purchasing & Shop Manager. He is responsible for purchasing job site materials and sourcing high-quality plants and trees. Frank also handles the maintenance of equipment and vehicles to ensure our fleet runs like a well-oiled machine. Frank is always willing to join a crew on a job site and helps with complex projects throughout the year. Frank grew up in upstate New York working with a family-owned landscaping company before relocating to the DC metro area and working for other local landscape firms and wholesale landscape vendors. Frank lives in Gaithersburg, MD with his family. GreenSweep delivers what they promise and stands behind their work.— Raymond C.